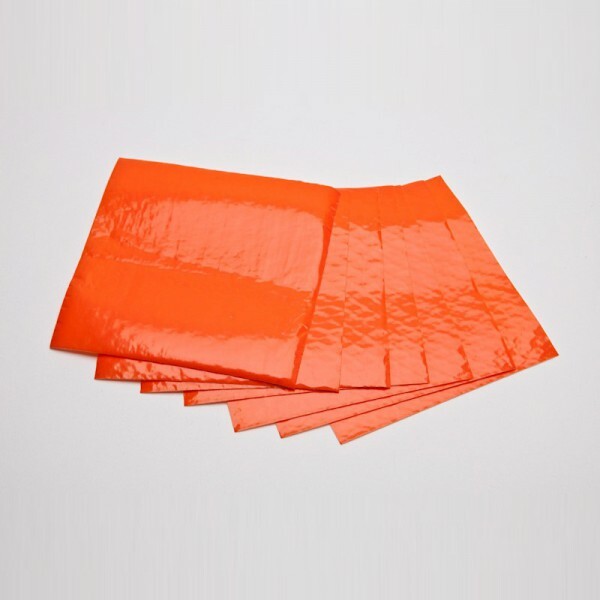 Bio-Screen® Products protect against soak through of blood-borne pathogens, body fluids and chemicals; and limit cross-contamination from gloves to phones, pens, keyboards... Orange Barrier Side: Blocks soak through of blood, body fluids and chemicals to gloves and counters. Inhibits subsequent transmission of microbes to phones, pens, keyboards. Bright orange bio-hazard warning color, non-slip. Rated by an independent testing laboratory as an effective microbial barrier. Impermeable to strong solvents including xylene and xylene substitutes, acetone, ketones, alcohols, formalin. White Absorbent Side: Low-linting and much more absorbent than gauze or paper wipes. High wet strength for quick pick up. Available in 3 thicknesses: • Standard absorbs 9x its weight. • Heavy (ET) absorbs 12x its weight. • Sponge Plus (Super) absorbs 25x its weight.